Hiscox has released a report on the evolving art market, citing the growth of online art sales as an area of particualr interest. The report found that the online art market has grown by 24% since 2014, reaching $3.27 billion last year. The finding suggests that the online art market may abide by a different demand cycle than offline sales, which saw a slow down in acquisitions last year. 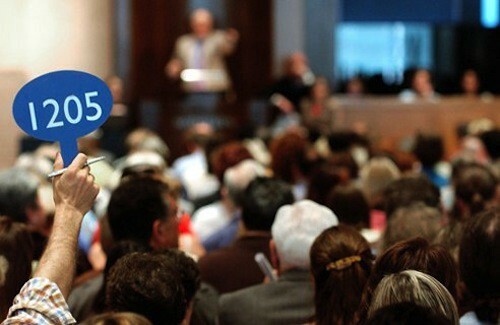 Indeed, 43% of young art collectors reported that they purchased artwork directly online; while this is a 3% dip from last year’s 46% figure, it demonstrates a sustained interest in online sales that — when compared to the fact that only 39% of galleries reported to have any e-commerce strategy in place — is not fully addressed by the art market’s supply side. 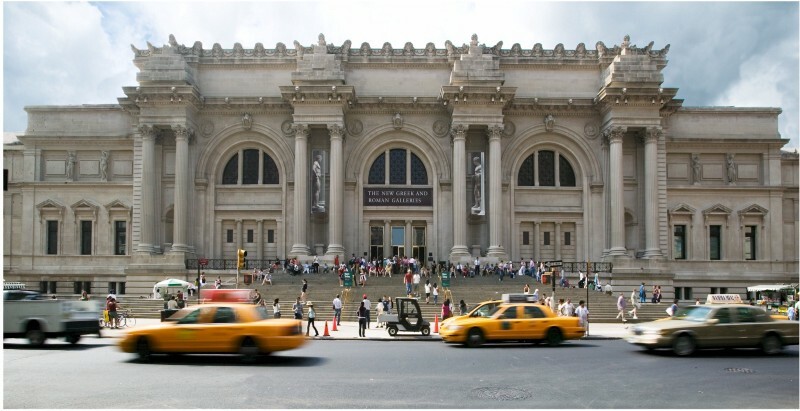 Amid rebranding, expanding, and dealing with lawsuits over its admissions policy, New York’s Metropolitan Museum of Art may have overreached….by a $10 million budget deficit to be exact. Faced with the possibility of this debt ballooning to $40 million, the museum has announced a two-year plan to restructure its finances; the Met will freeze hiring and request voluntary buyouts from employees. If such measures cannot resolve the problem, the museum will be forced to lay off employees. Yet, although salaries account for 70% of the Met’s expenses, the museum’s president — David H. Wiess — assured the public that if layoffs were to take place, they would not be wide-reaching: “it’s not hundreds, it’s dozens.” However, it may be a particularly difficult time for the Met to deal with such financial woes, as it just opened its new Met Breuer location, which cost $600 to prepare and will cost $17 million annually to run. Celebrity talent manager (and a bit of a celebrity himself) Ari Emanuel has taken an undisclosed stake in Frieze through his management company, WME-IMG. 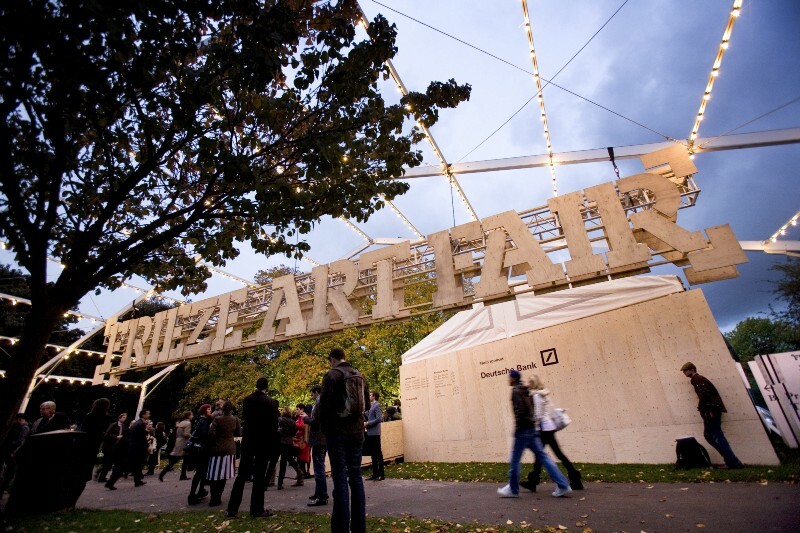 The partnership between the LA-based agency and the London-based fair looks to expand both Frieze’s PR reach and the benefits offered to the fair’s clients. As stated in a press release on the collaboration, the companies, “will work together to expand the resources and expertise available to Frieze’s clients through events, media, and technology.” The deal is Frieze’s first outside investment and will also require that WME-IMG support the Frieze Tate Fund, which facilitates the Tate’s regular acquisition of pieces from the fair’s London edition. The bill is both an attempt to weaken ISIS financially and a reaction to the influx in Syrian goods that have arrived in the US since the country’s civil war began. 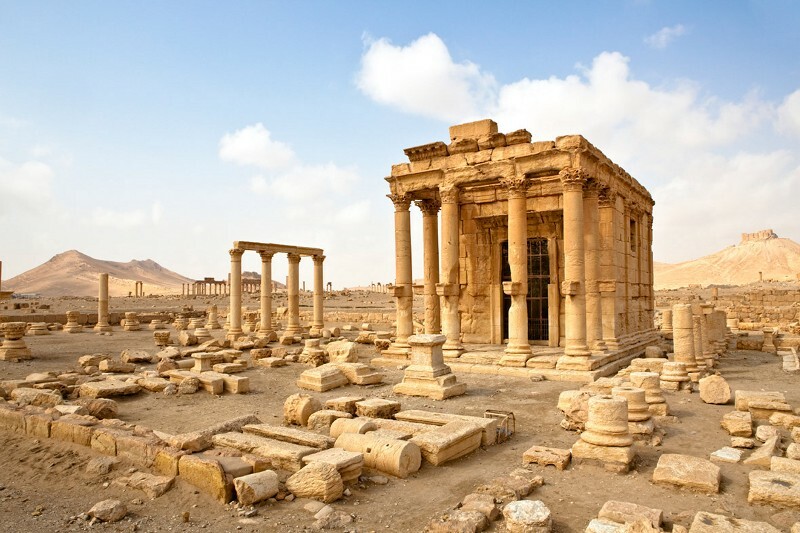 US Customs’ date reveals that the importation of Syrian antiques has risen five-fold since the war began, from $2.2 million in 2009 to $11 million in 2014. The country’s internal chaos has given looters more opportunity to steal from the country’s less guarded cultural and heritage sites. What’s worse, many fear that ISIS may be among the groups profiting from this illicit trade. This new bill aims to keep more of Syria’s culture within the country and counter ISIS’ attempt to profit off of it. Now in the heat of the 2016 election cycle, we have heard plenty about political “super PACs.” But over the weekend, the New York Times profiled a super PAC of a different, more artistic kind. The PAC’s first advertisement, designed by Albert James Ignacio and Wyatt Gallery (New York Times). 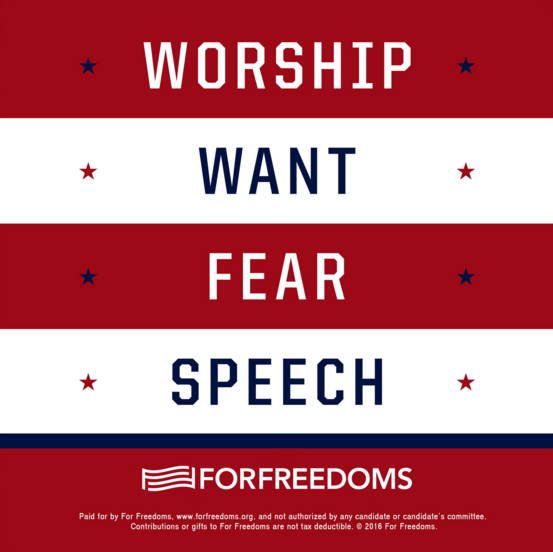 The super PAC — For Freedoms — is collecting money and artwork from artists to provoke more profound political discussions in America. Video artist, activist and PAC co-founder, Eric Gottesman, explained that normally super PACS, which raise unlimited funds for politicians, “function to influence elections like advertising agencies.” Instead, he hoped that For Freedoms would “elevate and expand the dialogue that no longer exists in our sound-bite culture, its ‘gotcha’ tactics, or in its oversimplified conversations.” The PAC takes its name form Franklin D. Roosevelt’s 1941 “Four Freedoms” speech, which advocated for protecting freedom of speech and worship.